Each year we participate in several ACSI events. These competitions push students toward a standard of excellence and allow them to apply the skills necessary for Christian leadership. The challenge presented to students fosters discipline, excellence, and grit. 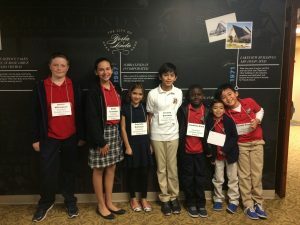 The competitions provide an opportunity for positive interaction between participating schools, encouraging fellowship and “sportsmanship.” Students begin their participation at the school level and can progress to the district and regional levels. Awards are given for individual effort and recognize those who were exceptional – challenging and inspiring all participants.